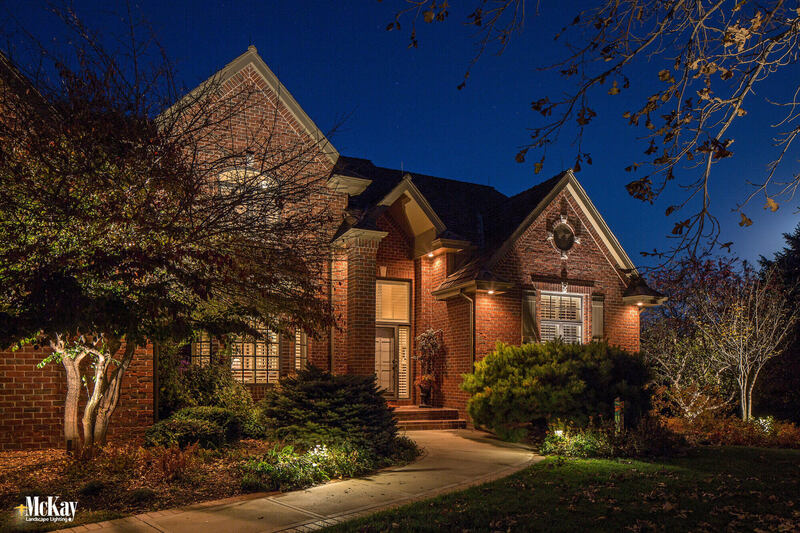 Ask McKay: Can I Put LED Bulbs in my Halogen Landscape Lighting Fixtures? While it may seem as though a lightbulb is a lightbulb, there are some factors to take into consideration before you swap your halogen landscape lighting bulbs with LED. It’s important the bulb and fixture create a watertight seal. When the wrong bulb is used or doesn’t fit correctly, moisture gets into the fixture. You might notice your lights flash or bulbs burn out faster than expected. Moisture damages the bulb and can damage your fixture or parts of it. Manufacturers do not warranty bulbs damaged from moisture. So how do you ensure your fixtures are watertight? Fixtures can be retrofitted, altered, or upgraded to hold a LED bulb. Generally, whether or not a fixture can be retrofitted depends on the age and type of fixture. It’s best to have a professional assess your system to determine what fixtures can or cannot be retrofitted to hold an LED bulb and go over any upgrade options. This will help ensure your fixtures and bulbs are watertight and keeping moisture out. These two types of bulbs vary in technology, wattage, and voltage. A halogen bulb creates light when energy heats the filament. Light from a LED bulb is emitted when an electrical current travels through the electronic device. It takes more energy to heat the halogen filament than emit the LED electrical current. This is why halogen bulbs tend to create more heat while LED bulbs are cool to the touch. LED bulbs use up to 85% less energy, sometimes more. Halogen bulbs are measured in watts (power). A higher watt halogen bulb produces a brighter light and uses more energy. While LED bulbs use watts, there is no direct association between wattage and light output. LED brightness is more accurately measured through lumens. A LED bulb generally uses about 8 watts while a halogen bulb uses about 90 watts. Soon it will be harder to find halogen bulbs per this government regulation. The correct voltage is crucial, and this is where it gets tricky. The voltage used on a halogen system differs from a LED system. Halogen bulbs run at a lower voltage than LED bulbs, but when you take out a halogen bulb the voltage increases. Having a mixture of halogen and LED bulbs or switching from halogen to LED without adjusting the voltage ratio, can cause long-term damage to your system. A lighting professional will know how to adjust the wattage and voltage ratio without causing damage to your system. This is the best way to ensure your system will continue working and performing at its best. In summary, halogen and LED bulbs are quite different in many aspects. Using the wrong bulb in your landscape lighting system could negatively impact your entire system and cause long-term damage. Moisture damage voids your bulb warranty. If you want your halogen landscape lighting system to be more efficient with LED bulbs, it’s best to consult a professional. At McKay Lighting, we offer free LED Conversion Assessments. One of our designers will evaluate your system and then provide you with a proposal for converting it to LED. We'll help you make the transition all at once or in phases so that it doesn't negatively impact your entire system. Learn more or request a free assessment online or give us a call at (402)-289.3424. 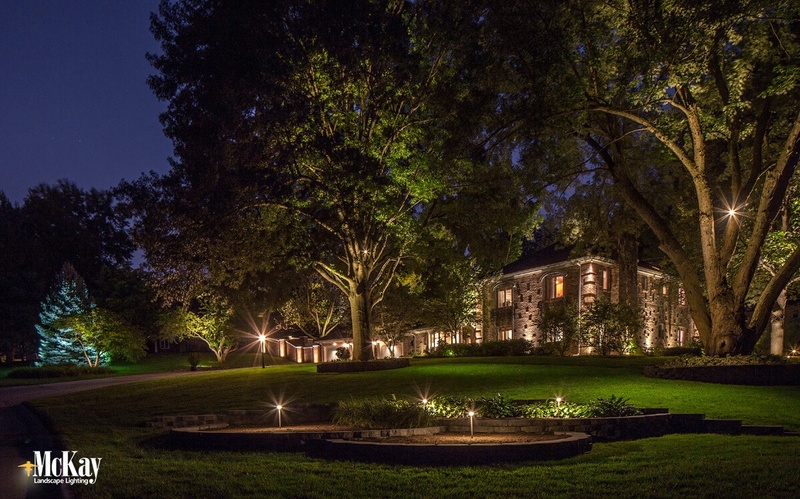 Landscape lighting is what we do. Every day. We’ve been in the landscape industry since 1987, becoming a dedicated outdoor lighting company in 1992. Our team has years of experience creating and installing elegant outdoor lighting designs including providing maintenance and repair services to homes and businesses across the nation. Our award-winning company has been voted Best of Omaha and Best of Houzz by the community. Located in Omaha, McKay Lighting services Nebraska, Iowa, and South Dakota, including Lincoln, Sioux Falls, Sioux City, Des Moines, Kearney, the surrounding areas and beyond.